Google News announced they have added three main features including larger images on the main page; a new realtime coverage page to surface the latest articles and commentary; and relevant Google+ posts for a new social perspective. The thing is, to me, outside of the realtime feature, this seems like just a huge Google+ push. In any event, I do like the realtime coverage feature. 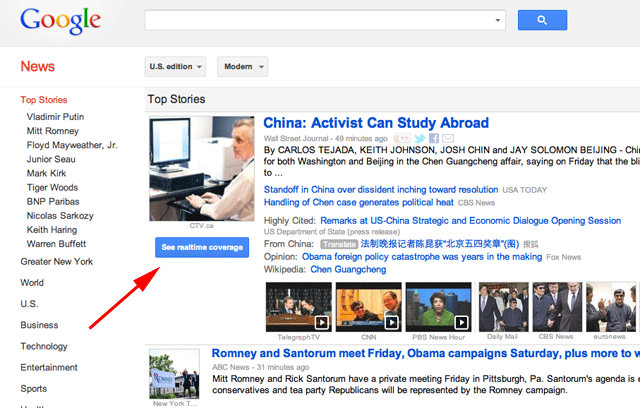 You should see it on the US edition of Google News next to the large image of the story. When you click on it, you are taken to a view that slides in new stories as they are discovered by Google. Of course, there are relevant Google+ posts on the side bar with an option for you to share your thoughts on Google+ with your friends. News stories are constantly changing and developing. To get the most up-to-the-minute information on the stories that matter to you, you can visit the Google News realtime coverage page. The realtime coverage page includes the most recent content from the publications included in Google News. If you're a signed in Google+ user viewing the U.S. edition of Google News, you'll also see the latest relevant posts from the Google+ community. Google News aims to organize the world's news information in a way that shows you many different types of news sources and diverse editorial perspectives. Sometimes, the best, most relevant content for you about a particular news story may come from people you know. 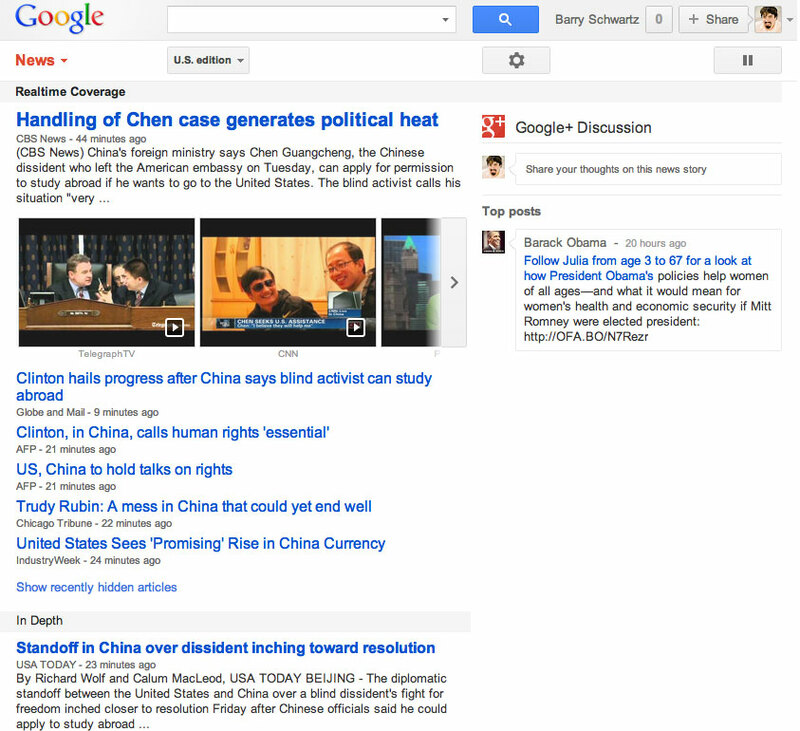 To provide a greater diversity of content for signed-in users, we show related Google+ posts on the Google News homepage in the U.S. edition.